Eoin from north County Dublin. When is the new Minister for the Environment going to radically re-vamp An Bord Pleanala. It is totally incompetent and has been for years. What a total disgrace the Priory Hall saga is. I feel so sorry for the poor residents. Shame on the developers and everyone associated with them. Who regulates the rogue architects that are registered by the Royal Institute of Architects of Ireland (RIAI). 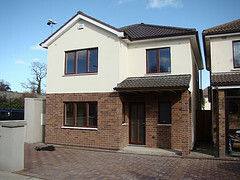 We recently completed a project under the direction and supervision of an RIAI architect. A complete and utter disaster and a total waste of money. This page is reserved for any construction related company to advertise it's services or products which will be beneficial to the Self Builder in Ireland. LPD is a design-led practice with thirty years experience in a broad range of fields. 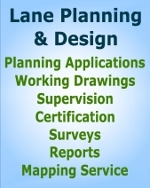 Lane Planning & Design has an overall planning success rate of 90.79% which is 8.30% above the national average. According to the Department of Environment, Heritage and Local Government, the national average for Grants of Permission is 82.49%. (September 2008). 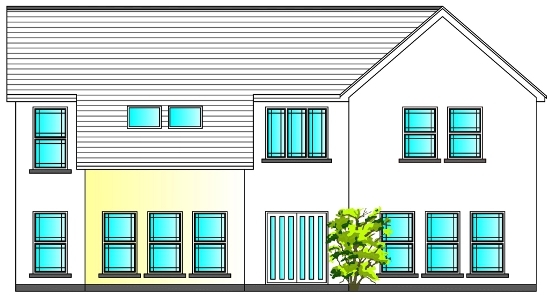 Lane Planning & Design has introduced for a limited period only a unique No Planning - No Fee promotion for planning applications for extensions, houses and commercial developments. This promotion is subject to terms and conditions. 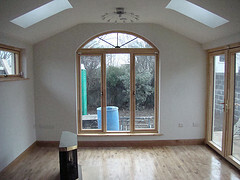 Are you building an extension, porch, sun-room or conservatory, which is planning exempt. The price applies for a typical 100 m2 3 bed-semi detached house.